A list of some of the most influential people in the Protestant Reformation. 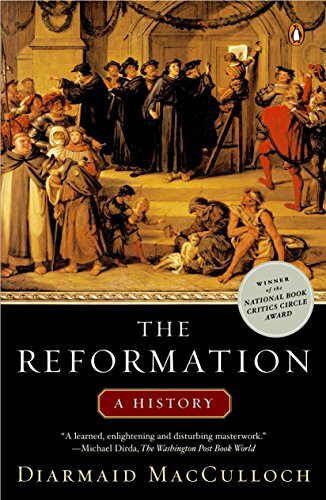 The Protestant Reformation refers to the period in the 15th Century, when some Christians broke away from the Roman Catholic church, beginning new Protestant movements. These new religious movements tended to stress the importance of the Bible and believed that Salvation could be gained directly from God and not through the intermediation of a Priest. Meister Eckhart (1260–1327) a German mystic, theologian and philosopher. Eckhart was not directly related to the Reformation. However, his radical sermons which spoke of man’s direct contact with the Divine were influential in later shaping Martin Luther’s thinking. Eckhart was tried for heresy for his unconventional philosophy. John Wycliffe (1330–1384) Translated some of the first versions of Bible into English. Wycliffe was an early critic of the Papacy and clerical power. 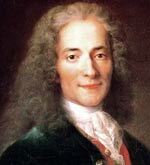 He placed greater emphasis on scripture, advocating Bible-centred Christianity. His followers were known as Lollards and were precursors to Martin Luther. 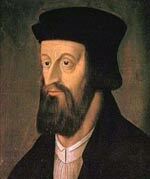 Jan Hus (1369–1415) Hus was a Czech theologian who propagated the radical reforms of Wycliffe and was a key figure in the later Protestant Reformation. 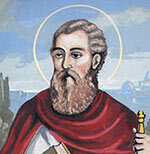 Hus criticised many aspects of Church teachings and he was burnt at the stake for heresy. However, his teachings and martyrdom spread through Czech lands creating a strong reformation movement. Martin Luther (1483–1546) Sought to reform the Roman Catholic Church which he felt had been corrupted and lost its original focus. A key figure in the Protestant Reformation, it is generally believed to have begun when Martin Luther pinned his 95 theses to a church door in Wittenberg in 1517. 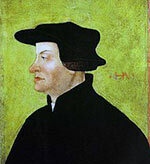 Huldrych Zwingli (1484–1531) A principal figure in the Reformation in Switzerland and Europe. Zwingli proposed many reforms to the Catholic church, based on the primacy of the Bible and influenced by his Renaissance learning and the works of Erasmus. Thomas Cranmer (1489–1556) Archbishop of Canterbury during the reign of Henry VIII, Edward VI and Mary I. Cranmer was a key figure in the English Reformation, reducing the influence of the Holy See and writing an English Common Book of Prayer. William Tyndale (1494–1536) was one of the first people to print the Bible in English. He worked on translating the Bible into English even when it was deemed to be an illegal act. He was executed for blasphemy after years of avoiding capture. His English Bible was ironically then taken up by Henry VIII after he broke from the Roman Catholic church. John Calvin (1509–1564) French Protestant reformer. Calvin broke from the Roman Catholic Church in 1530. He wrote influential Christian works, which supported the Protestant Reformation. He also introduced a new liturgy and form of church government. His theological teachings formed the basis of the Reformed, Congregational and Presbyterian churches. Michael Servetus (1509–1553) Servetus was a Renaissance humanist and influential figure in the Reformation. He developed a theology of non-trinitarian Christianity (rejecting the notion of Holy Trinity). 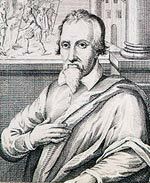 Servetus’ views were condemned by both Catholics and Protestants alike. Servetus was burnt at the stake after being denounced by Calvin and his followers. Henry VIII (1491–1547) King of England from 1509 to 1547. Henry VIII split the Church of England from Rome, leading to the rise of Protestantism in England. He dissolved the monasteries and reduced the power of the church. Anne Boleyn (1501–1536) 2nd wife of Henry VIII. Anne Boleyn was influential in forcing Henry VIII to break with Rome and set up the Church of England. Anne Boleyn refused to be Henry’s mistress – only Queen. 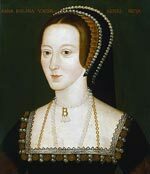 She was crowned Queen in 1533, but after failing to produce a male heir, Boleyn was executed in 1536. Queen Elizabeth I (1533–1603) Queen from 1558 to 1603. She reverted England back to Protestantism after the brief reign of her Catholic sister Mary. Despite great tensions, she largely avoided the descent into religious strife. She also led her country to a famous defeat of the (Catholic) Spanish Armada when England looked vulnerable to invasion. 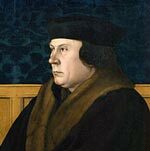 Thomas Cromwell (1485–1540) Right-hand man of King Henry VIII. Cromwell pushed for Henry to break with Rome and set up the Church of England. Cromwell also led the dissolution of the monasteries and the attack on the old religious traditions of the Catholic faith. 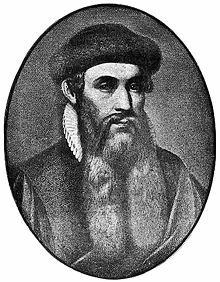 Johannes Gutenberg (1400–1468) Gutenberg was the inventor of movable type printing in Europe. This started a printing revolution which enabled the spread of printed works across Europe. Also produced the ‘Gutenberg Bible’. This invention was critical in enabling the spread of the printed works of the Protestant Reformation. Citation: Pettinger, Tejvan. 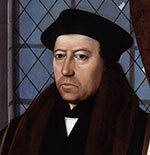 “Famous people of the Reformation”, Oxford, www.biographyonline.net, 11th Feb 2013. Updated 25th September 2017. People of the Renaissance (1350s to 1650s) The Renaissance period refers to the flowering of art and culture in Europe. Primarily in art, but also in science.